*PLEASE NOTE: All tickets are subject to an additional $4 per ticket facility fee. The Jazzschool Studio Band is made up of some of the best high school jazz musicians in the Bay Area. Led by legendary band leader, composer, and arranger Dave Eshelman, the band sounds mature beyond their young ages. Expect incredible arrangements, fiery soloists, and music both exploratory and traditional. This group came in 2nd place last year at the Monterey Jazz Festival's Next Generation Festival and has a number of students who are in this year's Grammy band, which selects students from throughout the entire country. They are raising money to go on a European tour this summer. If you want to see the future of jazz, this is the place to see it! 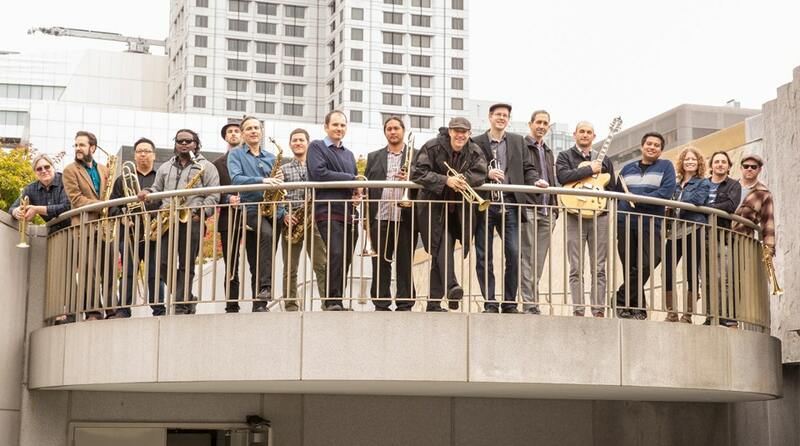 The Electric Squeezebox Orchestra is a 17 piece big band based in San Francisco that plays music composed and arranged by its members. Led by trumpeter Erik Jekabson, the band currently consists of Erik, Henry Hung, Darren Johnston, Doug Morton and Dave Scott on trumpets, Rob Ewing, Danny Lubin-Laden, Patrick Malabuyo and Richard Lee on trombones, Sheldon Brown and Larry Delacruz on alto saxes, Mike Zilber and Marcus Stephens on tenor saxes, Charlie Gurke on baritone sax, and the rhythm section of Dan Zemelman, piano; Jordan Samuels, guitar; Tommy Folen, bass; and Hamir Atwal, Alan Hall and Eric Garland rotating on drums. However, you'll catch many of the Bay Area's top jazz musicians subbing into the band every week. The band's debut CD "Cheap Rent" is available on the OA2 record label.